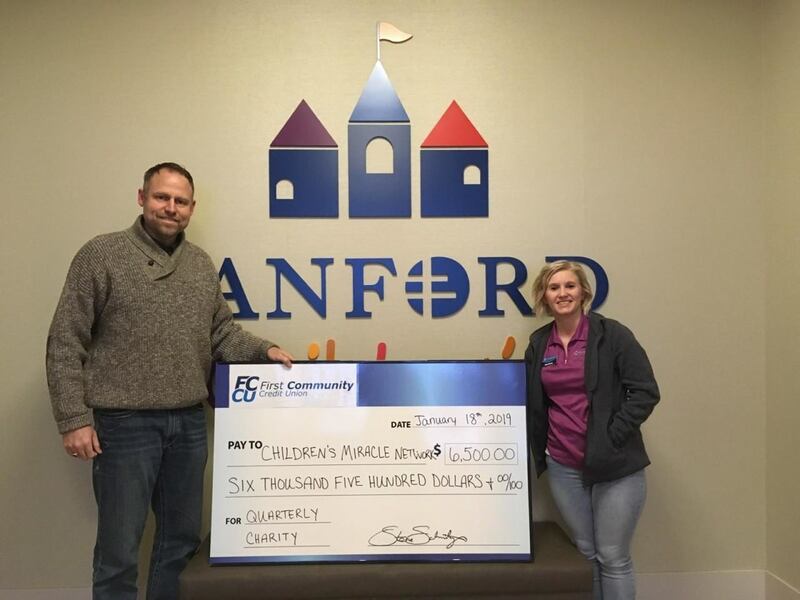 The team at First Community Credit Union raised $6,500 to help the kids treated at their local CMN Hospital, Sanford Children’s Hospital in Fargo, ND. When it comes to fundraising, the FCCU team goes all the way: from casual Fridays to parking spot raffles and much more. Click here to read more about FCCU’s work to help the kids in their community.